Clothing tag scratching you? Cut it right out of there! But wait…what were those care instructions again? OSX Photo Booth to the rescue! There are a quite a few ways to backup DVD’s and other images using the GUI. This one produces an identical digital image, including the boot camp partitions on a Snow Leopard DVD, of which I was making a backup copy. image-name.iso is the name of the iso image file that will be created. Resulting image-name.iso is your CD/DVD image. My international technical assignments often call for agility, fast response and high tech connectivity. (Actually I just travel for family visits a few times a year. =) But still! I turn to a kit of mobile gizmos that are a must for every road warrior geek. Air Power: You need to write code (or watch sci-fi) without worrying about a laptop battery running out. 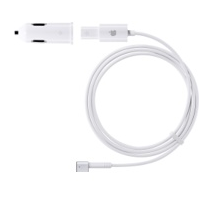 Mine is the Apple MagSafe Airline Adapter. Retractable Cables: Ethernet, USB and Firewire. When the hotel wireless is out or they are still in 1996 hard-wired land, your own compact cable can be a life saver. Also helps when you have physical access to a WAP but not the wireless credentials. International Adapters: Laptops generally handle foreign power, so I’ve only ever needed the plug adapters and not the power adapters. 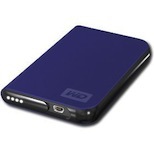 External Hard Drive: These are just too small and powerful to leave behind. You can bring a system backup along, software you may need to install or a media library. USB Key Drive: Same principle as above but for easy transfers of data, documents, wireless keys, etc. 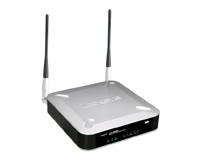 Wireless Router: Ok, this sounds like a stretch but imagine a villa, hostel or cabin with one ethernet connection and many residents. Allowing everyone online from anywhere is a big win since the average Linksys is only 2 pounds including the power adapter. Since the actual electronics are the size and weight of a cigarette pack, it seems like these should continue to get smaller and lighter. 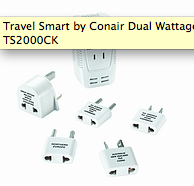 You can skip the power adapter completely, via Power Over Ethernet. Cisco already makes a 1 pound POE WAP for $100. Not bad. Tethering: Configuring your mobile phone to provide connectivity to your laptop gives you almost limitless connectivity. No more airport and coffee shop charges. No more PDA only access when stuck on the tarmac.